It’s been floating around here in New York for a while now and finally, there’s an official date announced. 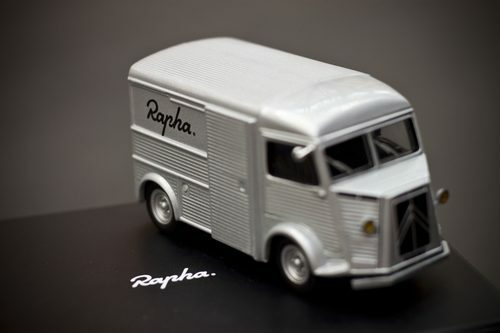 July 1st marks the opening of Rapha‘s premiere retail location here in NYC. Located on the ever-popular and ever-evolving Bowery, the new storefront will carry Rapha’s complete clothing line, along with other tidbits. So come July 1st, to 352 Bowery and have a blast! 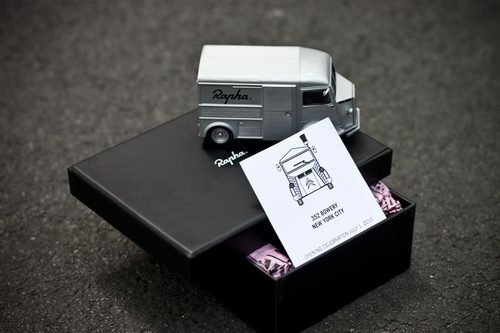 Check out a detailed shot of the Rapha Citroen HVan below, along with a special announcement! The life-size version of this will be arriving at the storefront tomorrow morning at 11am. So if you’ve ever wanted to see a bunch of cyclists push a 30-year old van down the street, be there!